The GT-NY-S "NINJA" nippers redefine the industry standard for sliding nippers. The patented design of the "NINJA" utilizes a linear, opposing "V" slide track with adjustable gibbs. This nipper also features a dual-action cylinder that provides fast, accurate, and consistently smooth positioning. The push or pull slide direction of this nipper can be adjusted by simply switching air lines on the rear of the "NINJA". 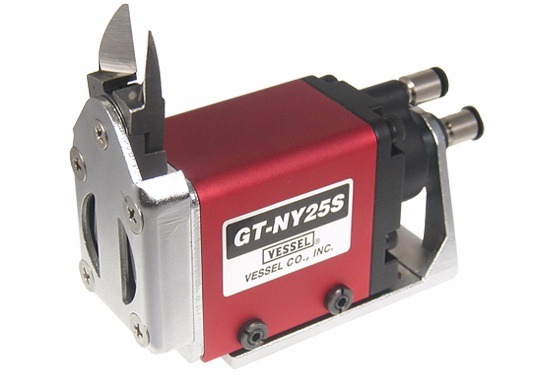 The GT-NY-S "NINJA" nippers are designed for high-cycle injection molding factories that require durability and reliability.